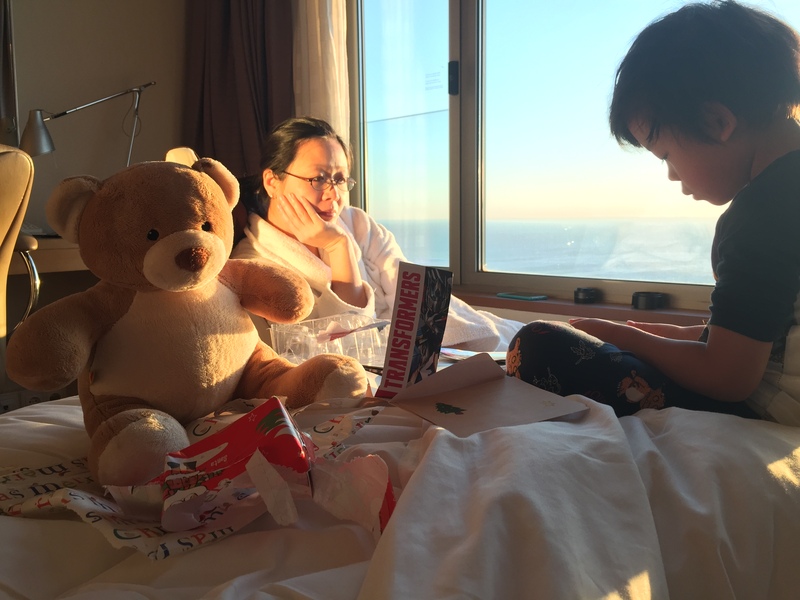 This year Christmas, we spent out of the country with just ourselves, contrasting with the gathering of friends and family last year when Hugo was still around celebrating the xmas spirit. We decorated our tree and with the baubles and lights. Hugo was very excited and kept on touching the lights and trying to pull them off the tree last year. 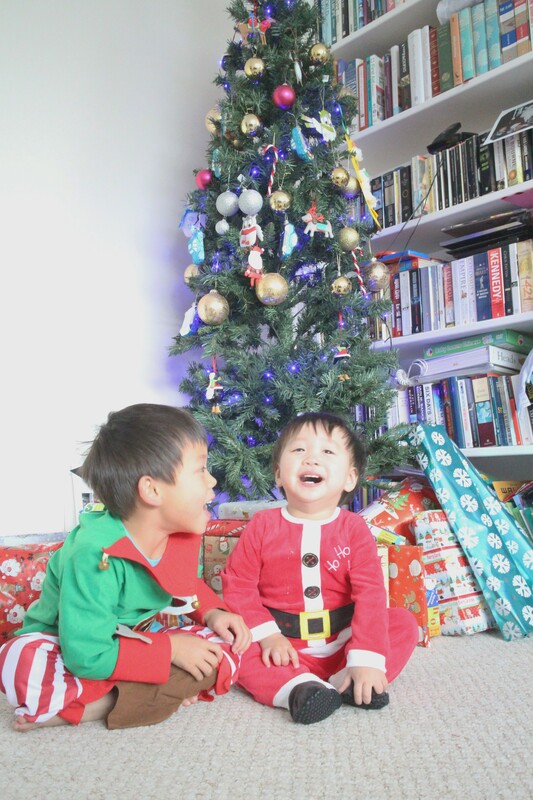 He was smiling away on Christmas Day when I dressed the boys up in fancy dress. 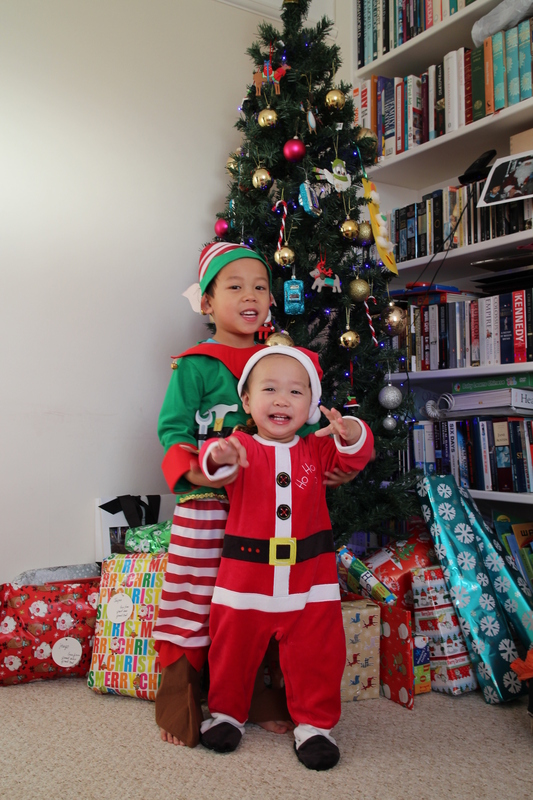 Jasper was a green little elf and Hugo was the little cute Santa. It was so happy and fun. We took family photos and opened presents on Boxing Day. There were lots of friends and children visiting and sharing the lovely toys and food we hosted in our house over the holidays. Hugo and Jasper loved all the attention from playing with other children. It was busy, loud and manic with sleep overs and constant eating and playing. We could not go through the same without Hugo this year and it felt too false and hollow, just going through the motions. Spending Christmas away for us in a quiet relaxing place away from extended family and friends is what we decided to do. 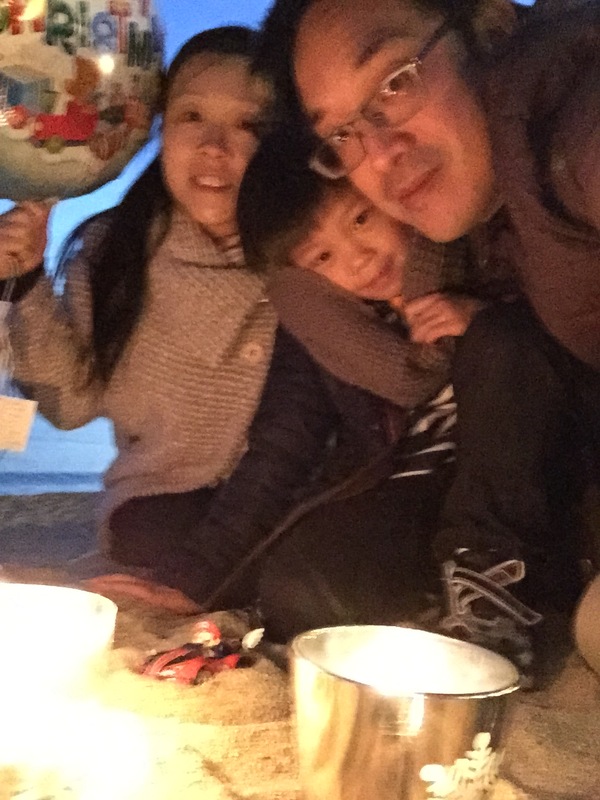 We are missing a dear loved one from our family and xmas is an intense reminder of the line that was stepped over when our lives were suddenly infused with sorrow. At this time the warmth and glitzy feeling of crimbo represents a world that we don’t live in, save for our our efforts to provide some joy for Jasper. It feels as if we are looking through the window. But when it comes to Jasper we remain genuine for him. There is nothing that we can do to bring Hugo back to life. We were invited to a few Christmas services which we all accepted to go and attempted to attend. I thought I could cope, be strong and be ready. I soon realised I could not control my feelings again. Our first concert organised by the MeningitisNow charity was the hardest thing for us to go through so soon after Hugo died. The moment I entered the church I was feeling overwhelmed with sadness on reflection of the music in the church hall. My poor little Jasper felt exactly the same way. He was immediately uncomfortable but it only took him a couple of minutes to realise how much he missed his little brother as he burst into tears and had to leave because the music and atmosphere made him really unhappy, reminding him that he is still very sad about Hugo. Jasper’s grief came out out on this rare occasion and I gave him a big hug and told him he will feel better afterwards and he did. It hurts me to see that my little 5 year old boy has so much on his shoulders and I can’t take any of that away from him. I can only hope he gets better at dealing with his grief of Hugo better and in the future he can still remember his little brother and would be much stronger to carry his heavy load of grief. We are all on the same journey and only with time we can ease the grief that will never leave us but it’s so hard to see that far to that moment. We didn’t make it as a family to the other carol services as it was immensely difficult to bear but Simon and I did go to the last one that was held by the crematorium the night before we flew off to Barcelona. I could only manage to light a candle but could not stay any longer to think about Hugo amongst all the other people in the congregation who have lost loved ones. The pain of missing Hugo really stabbed my broken heart again leaking all the feelings of our tragedy and filling up it up with sorrow. Those feelings of our tragic life just attacks me with no way of stopping it. I can only take it all in and let it leave me when it wants to. This is a life experience not everyone can truly understand but many have empathised. Thank you for your festive thoughts, cards and gifts to us, Jasper and Hugo. 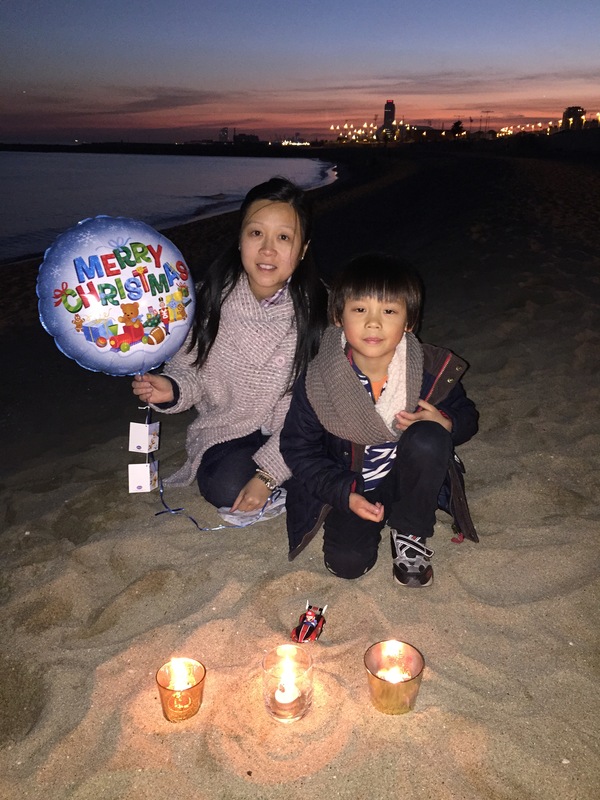 Christmas Eve night for us was a beautiful evening at beach, on La Mar Bella in Barcelona where we lit Christmas candles and released a Christmas balloon with card messages for Hugo. We woke up to a bright orange sunrise on a clear horizon on Christmas Day. It really brought smiles on our faces and knowing Hugo was sharing the same sky with us. 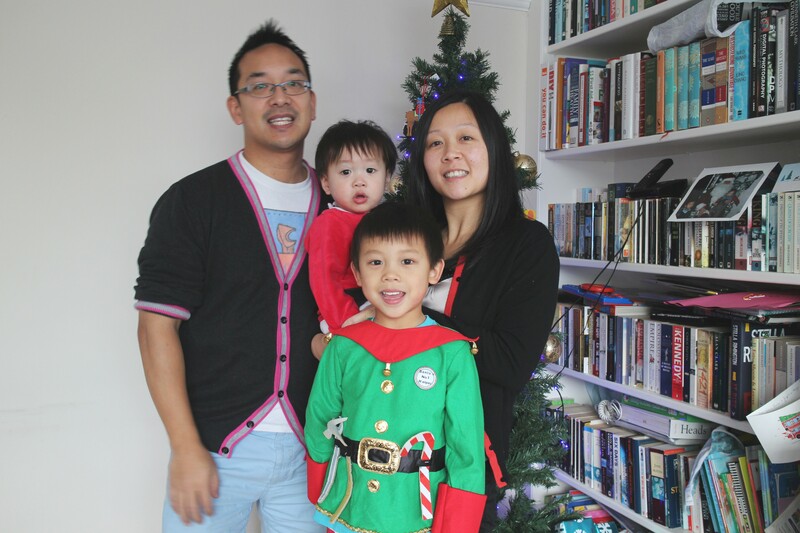 Categories: We Are Four | Tags: Barcelona, Christmas, Holiday, Hugo wong, Meningitis, MeningitisNow | Permalink.